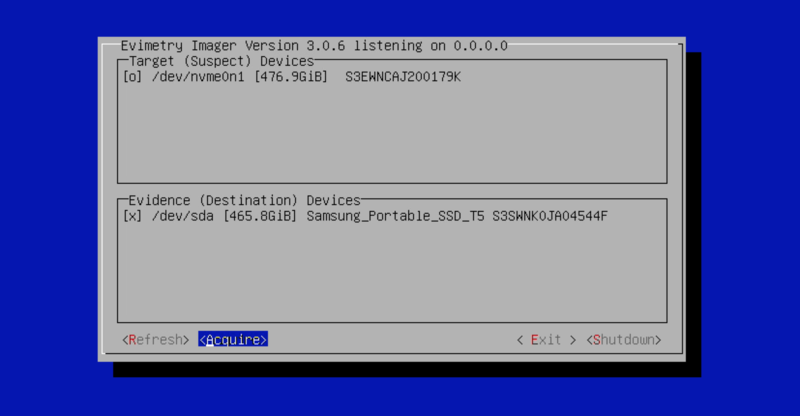 A USB forensic OS based forensic imager. Evimetry Imager provides fast and simple forensic imaging of Intel Macs & PC's via a Linux-based Forensic Operating System (the Evimetry Deadboot). Acquire as fast as your hardware is capable of. 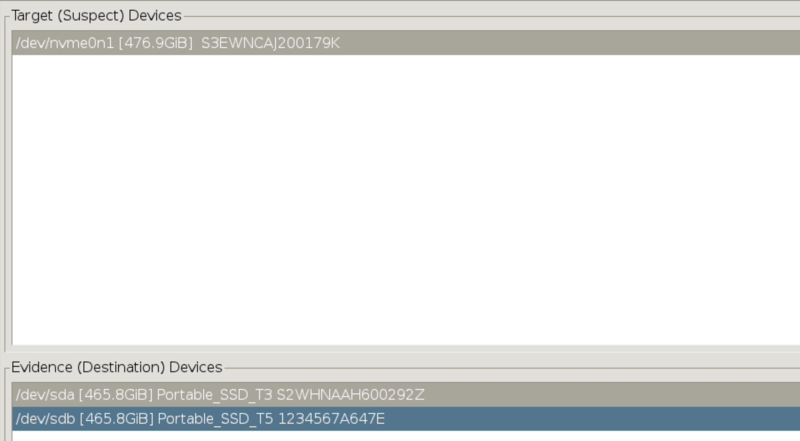 Using a single USB connected SSD storage drive, acquire at rates of around 20 GB/min. With Imager Multi, image to multiple evidence storage devices at the same time, to reach speeds in the 100's of GB/min. 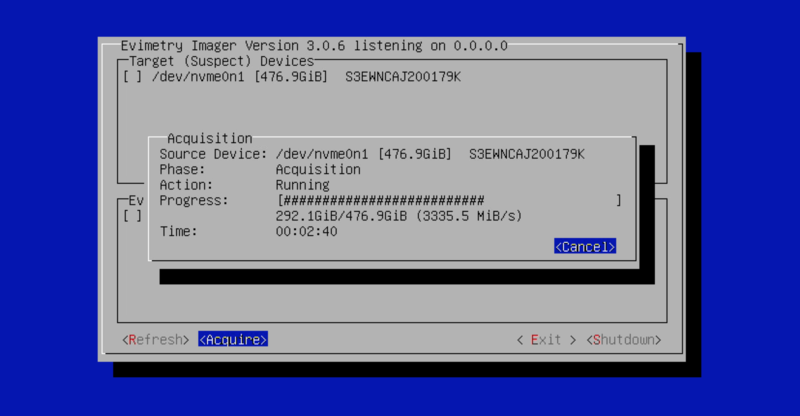 Create Evimetry Imager USB boot devices with only a few mouse clicks. For large USB disks the remaining space is configured and "Blessed" for storing evidence. Great for low-port count modern laptops. Evimetry Imager automatically manages write blocking, and will only write to evidence storage devices that have been whitelisted or "Blessed" as good for writing to. Evimetry Imager is for simple and foolproof complete acquisitions of a single disk at a time. As such, it doesn't support Evimetry's more complex allocated-only and non-linear partial acquisition techniques. Works with your current toolset. Evimetry's AFF4 images are simply consumed using our freely available Filesystem Bridge, and a growing number of commercial and open source tools. 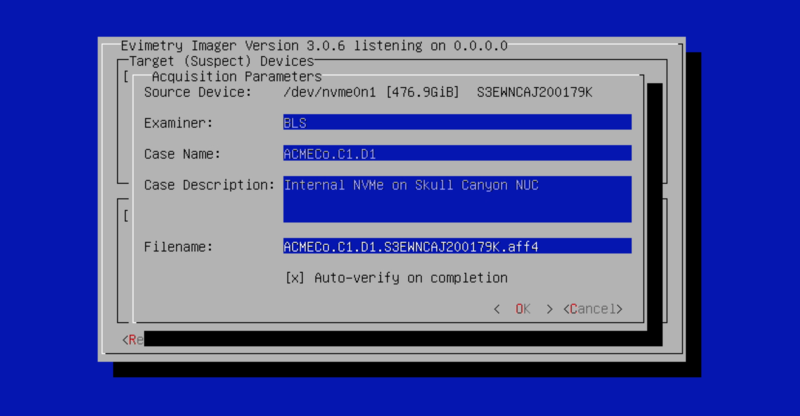 This tutorial steps you through using Evimetry Imager to acquire the disk of a computer booted from the Evimetry Deadboot. 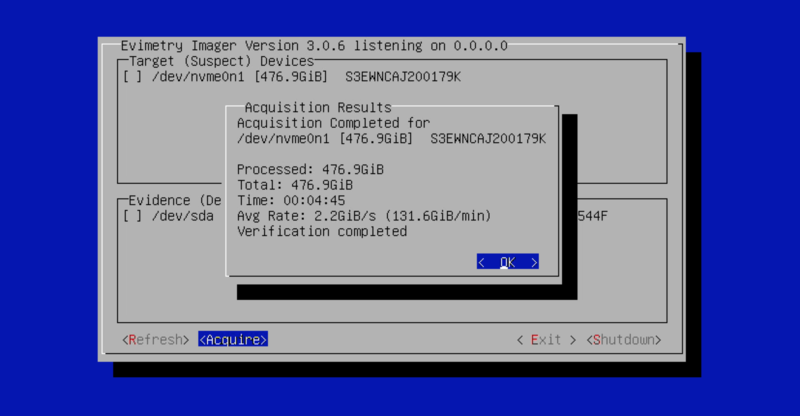 This screencast demonstrates the creation of a combined Evimetry Deadboot/Evidence Storage USB Device, followed by rapid acquisition using Evimetry Imager. Fast bare metal acquisition Fastest multi-destination bare metal acquisition Live analysis & multi destination bare metal acquisition. Local and remote accelerated acquisition & live analysis.